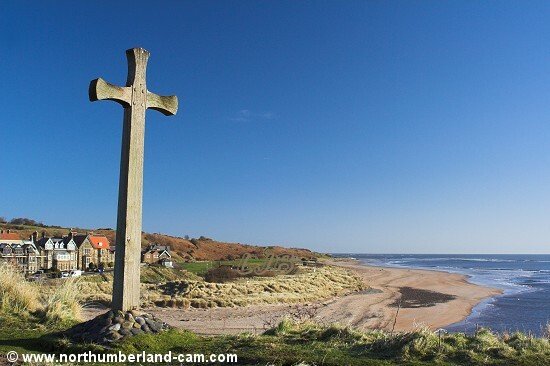 Alnmouth has a fine beach that is split into three distinct sections within Alnmouth Bay. 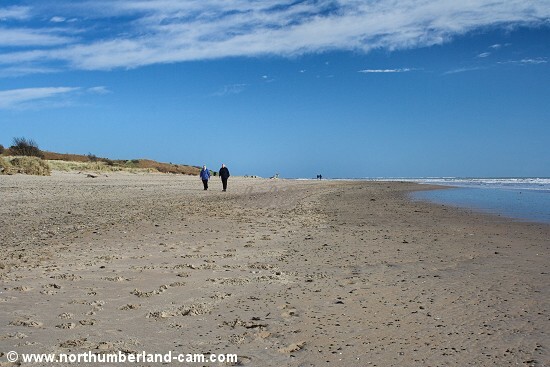 The main beach and the one used by most visitors stretches from the north side of the mouth of the River Aln, alongside the village and golf course to Marden Rocks. 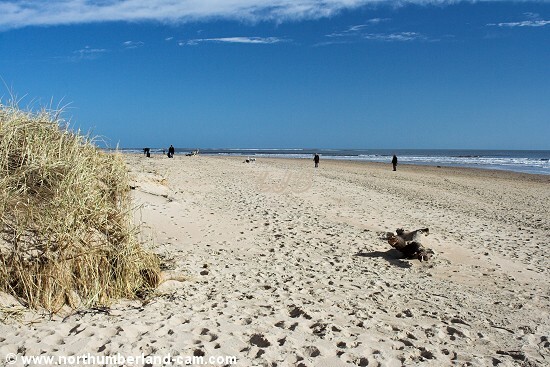 It is very popular with tourists and locals all year round. 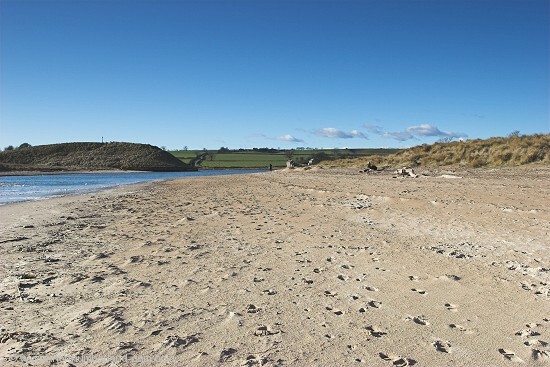 To the north of Marden Rocks the beach stretches to Seaton Point. 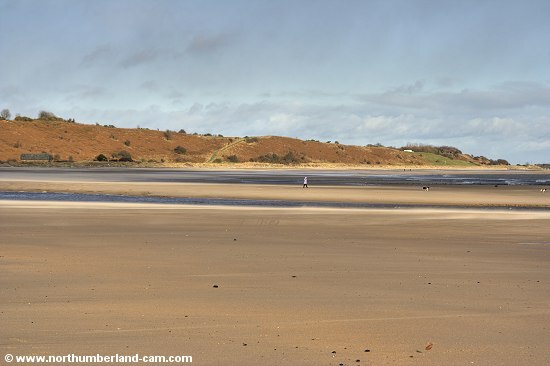 This section is popular with walkers and dog owners who reach it from both Alnmouth and Boulmer. 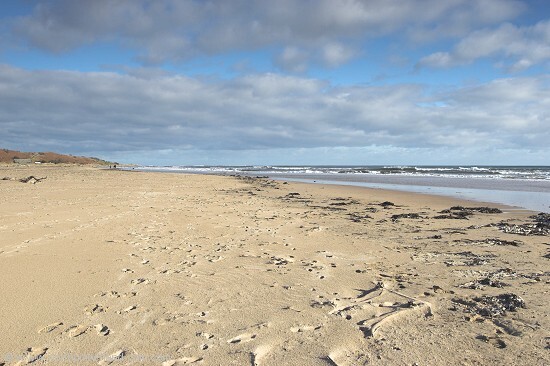 The least accessible but best section of beach lies to the south of the River Aln. 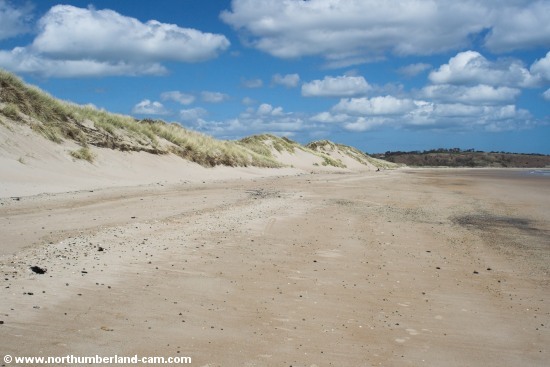 This is a wild beach backed by high sand dunes and is used mainly by walkers who reach it from Warkworth or from a rough track behind the dunes. 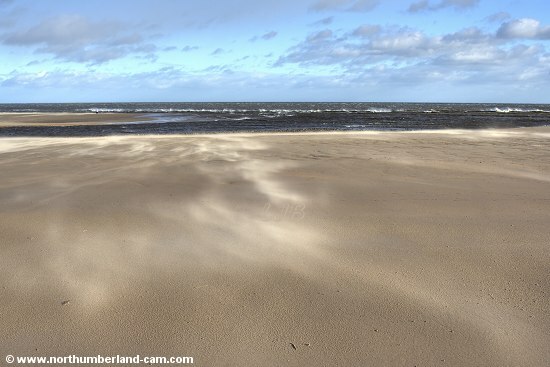 In strong west winds the sand is blasted from the dunes to the sea like a desert sand storm. * Photos on this page have been taken on a number of different days. 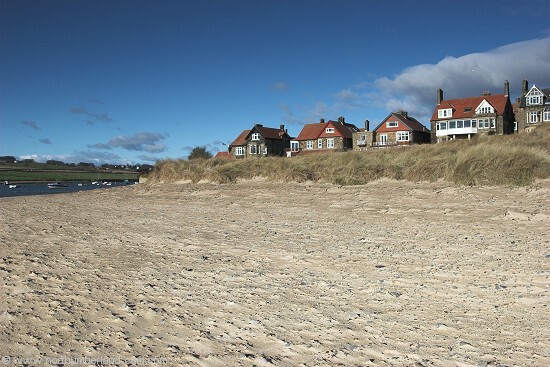 Views looking north along Alnmouth Beach from the River Aln. 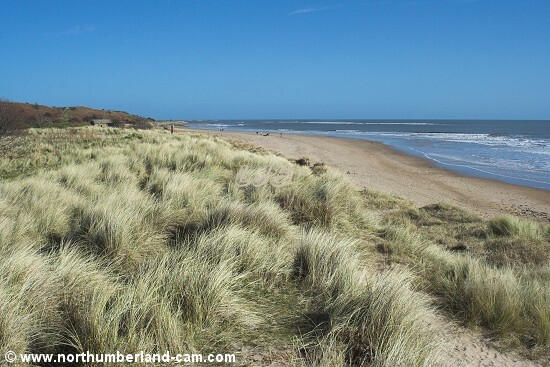 Alnmouth Beach at the mouth of the River Aln. 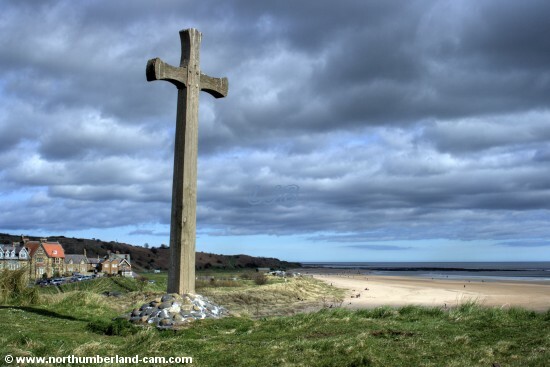 Views to Alnmouth Beach from the cross marking the site of the old church. 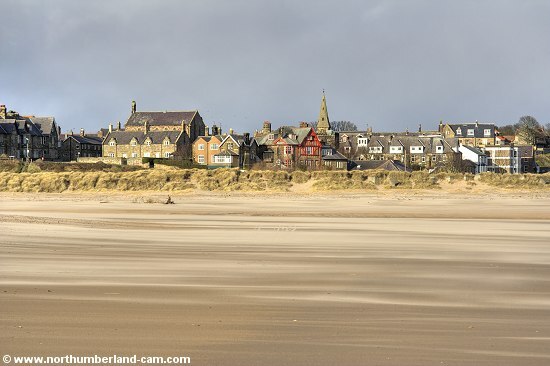 Views across the River Aln to Alnmouth and the beach. 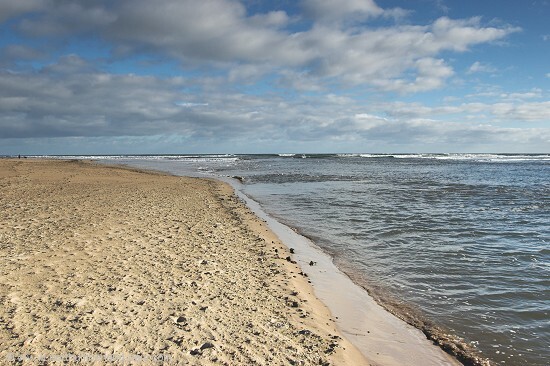 The beach on the north side of the River Aln. 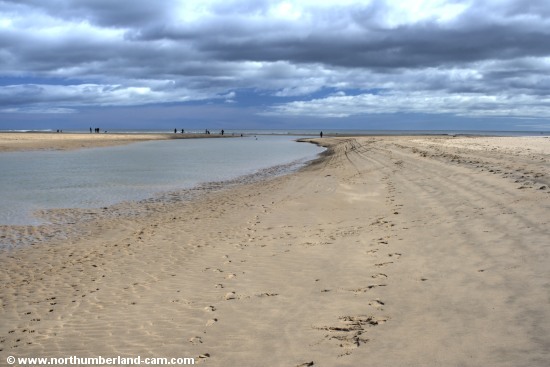 The beach on the south side of the River Aln. 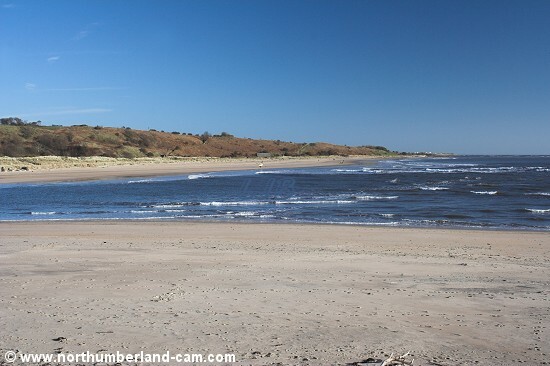 View north along the beach towards Alnmouth and the River Aln.